After releasing a slew of remixes and building a reputation among the basement party scene in Brooklyn, college buddies from Berlin, Sam Haar and Zach Steinman, have released their debut studio album on NYC label RVNG INTL. Under the moniker of Blondes, the Brooklyn based duo produces progressive house music with seemingly endless build-ups that gradually unravel to create a thrilling atmosphere of suspense. 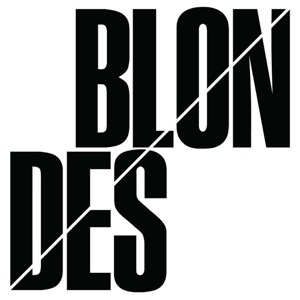 Playing on a theme of duality, the digital release features 8 original Blondes tracks, each paired with another to create a dialogue of contradiction and ultimately an impressive project of quality house music. Opening with the distinctive Blondes style of minimalistic elements with intricate layering, “Lover” is a spacey ambient tune that effortlessly leads into the thumping base and sci-fi sounds of “Hater.” Trippy vibes steadily permeate as mesmerizing synthesizers trickle over a deep driving baseline on the standout track “Wine,” a lengthy dreamland of electronic bliss that sets up its counterpart “Water,” another marathon of a track that evolves with every second. Also showcasing their ability to produce club ready tracks, Blondes mixes funky piano keys with groovy minimal techno on the 9-minute long track “Pleasure,” a hypnotic dance floor banger reminiscent of production by legendary German duo Booka Shade. Though the release tells stories of duality through coupled track titles, the most significant dichotomy of Blondes is the delicate balance of enormous ambition and meticulous patience exhibited by Sam and Zach on each sophisticated track. The production is complex, yet the purpose is minimal. The mix produces an addictive sound that will catch the ears of those longing to zone out on a long voyage or the dance floor.